The SouthernCross range of water tank flow pumps is now available from I & C Irrigation Consultants. With over 35 years of experience in the irrigation industry, I&C Irrigation distribute a comprehensive range of irrigation, water storage, pumping and filtration equipment and accessories. 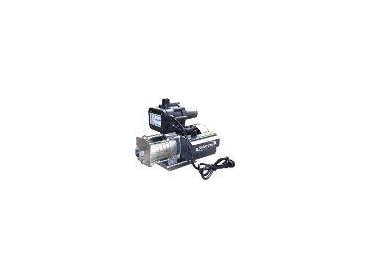 The SouthernCross model CBI 2-50PC15 water tank flow pumps are suitable for larger homes, with the capacity to run 5 taps simultaneously. The SouthernCross CBI 2-60pc22 has a 42lpm capacity at 50PSI and can be used for both large homes and lawn watering. Model CBI 2-40PC15 of this range is more suited for a medium sized home with a capacity of 40lpm at 36PSI, and will run 4 taps simultaneously. The SoutherCross CBI 2-30PC15 water tank flow pumps will run 4 taps at 22PSI and are typically used for weekender or homestead use due to their automatic cut off function. All SoutherCross models are constructed from stainless steel materials.